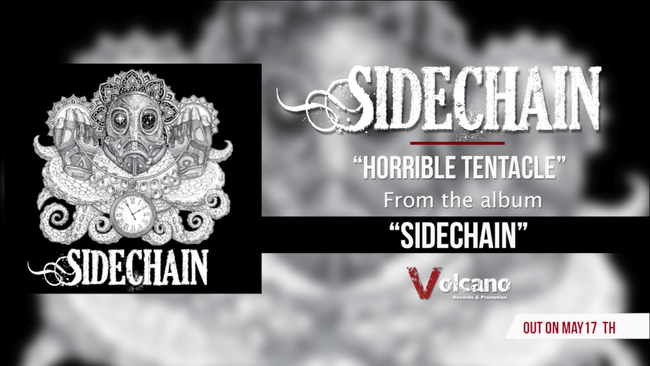 The first single by Sidechain, entitled "Horrible Tentacle", is now available. The song is taken from the band's debut album, a record work that deals with the theme of the psychological precariousness of today; a journey in search of oneself in a world too attached to appearance and where you lose more and more contact with their spirituality. "Horrible Tentacle" is a well produced rock ballad with an interesting arrangement; it has a solid rhythm section and a good attention to dynamics: it goes from a wide verse to an aggressive chorus to tight and energetic instrumental sections and well performed. In short, this single is a great starting point that makes Sidechain a band to keep an eye on in the coming months. There seem to be some great surprises in store.